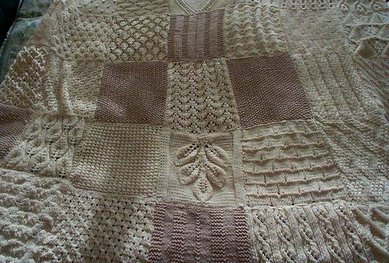 Doug–a member of Knitting Novices–a fantastic yahoo group for new or more experienced knitters has posted his new blog which is, so far, just a collection of pictures of his work. But what beautiful work! Doug creates amazing knitted afghans–more works of art than mere “throws.” Bravo Doug!